You’re not dreaming. The Stone Roses are reuniting. This is actually happening. Let the ticket scrum commence! These two Manchester shows that will take place in June 2012, announced at 3pm today at the Soho Hotel in London, mark above all else the reconciliation of John Squire and Ian Brown, of one of the greatest musical pairings in history. That a generation of music fans defined by the searing brilliance and enduring legacy of The Stone Roses will be given the opportunity to experience them in person is reason enough to lose your mind in over-excited confusion. That the band are giving themselves the opportunity to resurrects omething that died on stage at Reading 1996 with a depressing lack of dignity could well be the righting of the biggest wrong in British music history. No one though, including us, really believed this would happen. “John Squire left me drowning,” Ian Brown told NME in 2009, “but I ended up doing the breast stroke” – his hugely successful solo career testament to his resilience. Squire left the Roses in April 1996 andcalled his move “the inevitable conclusion to the gradual social and musical separation we have undergone in the past few years.” After flirting with Britpop in The Seahorses and a brief solo career of his own, Squire dropped out of music, returning to his first love of art. Before their meeting in April this year, when they both attended the funeral of Mani’s mother, they hadn’t spoken in a decade. Individual success counts for little though compared to the reformation of The Stone Roses (sound good, doesn’t it?!). The only other band on the planet who could fill the world with this level of face-aching glee by pulling the hatchets out of each others’ backs and burying them is The Smiths. In terms of the songwriting perch that Brown and Squire sit on, they’re Morrissey and Marr’s equals. In terms of the adoration they reap from die-hard obsessives across the country, they’re arguably way out in front. Of course an event like this doesn’t happen by accident. There’s a lot more to the story than a quick decision and a rushed press conference. 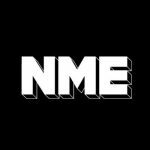 For the inside story of exactly what’s been going on behind the scenes in the lead up to this historic announcement (as written by Roses biographer and friend John Robb), plus all the reasons why we can’t forget how big this is, pick up this week’s NME.